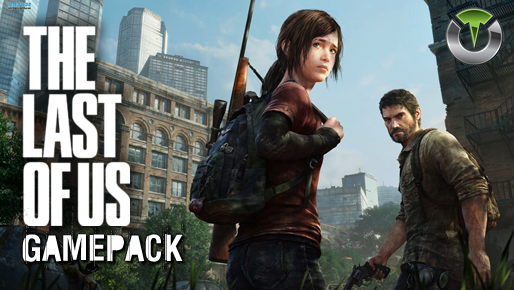 The Last of Us Gamepack for Titan One. Gamepack improved by perfecthuntr. When rapid fire is enabled, you can turn virtually any semi automatic weapon into a fully automatic weapon. This creates a very unique advantage for players using semi automatic weapons in The Last of US multiplayer game. While rapid fire will not usually make a fully automatic gun shoot any faster, it can have positive side effects on fully automatic guns such as reducing recoil, helping players conserve ammunition and achieve more headshots. Here you can set the rapidfire to be activated when the trigger button is fully pressed. This behavior is desired as the game requires hold down the fire button for some actions, like heal your character. Aim the weapon is required to be able to shoot in The Last of Us. This MOD automates this task by activating the aim button as soon the fire button is pressed. With accelerometer aim assist, you can use the DS4/DS3 sensors to aim while scoping. This means you can move the controller to adjust the target position when scoped in. This MOD will not affect aiming with the right stick. It will only add an additional option to aim with. Each of the modes will add sensitivity with mode 1 being the least sensitive and mode 5 being the most sensitive. This MOD compensate for vertical recoil while firing a weapon by automatic moving the control stick in the opposite direction your gun is moving while firing. The adjustable parameter sets how much the compensation should be. See the menu system instructions above for more information on how to adjust the compensation in this mode. The anti-recoil is activated while firing. See the menu system instructions above for more information on how to adjust the anti-recoil strength. Automatically spot your opponents. With Auto Spot active your character will mark where your opponents are located simply by aming in their general direction. A ridiculous advantage in team matches. Auto Spot is activated when aim button is being pressed. Sprint by just one tap on the sprint button, doesn't need hold down the button. Automatically go to stealth mode (CIRCLE) when stop sprinting. Turbo pick-up do what the name implies. It automatically press the pick-up button (TRIANGLE) to grab all items as fast as possible. Double tap and hold to heal friends. Note: double tap and hold to heal friends. With the Button Layouts you can make any of the above MODS work with your favorite in-game button layout.